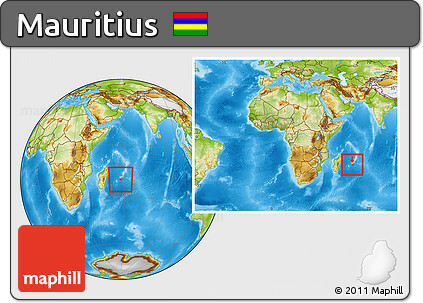 Mauritius is the most densely populated country in Africa and the 17th most densely populated country in the world. Among all developing countries, Mauritius has the highest life expectancy at 73 years. Mauritius is an island created by underwater volcanic eruptions. The first people to set foot on it were the Portuguese. Mauritius does not maintain a standing army. The top money earner for the economy of Mauritius is sugarcane, which is planted on 90% of the country’s arable land. The name of Mauritius is a derivation from the name of Maurice de Nassau, a prince of the Orange principality, a former feudal state of Provence. Capital City: Port Louis is the capital city of Mauritius, located in the Port Louis District, the western part also lies in the Black River District. Port Louis is the country’s economic, cultural, political centre and most populous city. Religion: A minority of Sino-Mauritians also follow Buddhism and other Chinese-related religions. According to the 2011 census made by Statistics Mauritius, Hinduism is the major religion at 48.5%, followed by Christianity 32.7%, Islam 17.3% and Buddhist 0.4% in terms of number of adherents.